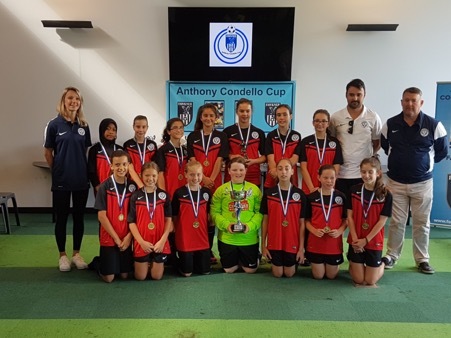 Pascoe Vale FC's Female Teams have been a huge success in several years. Pascoe Vale FC is delighted to announce a new U12 Girl’s team in 2017, with many players coming back from a successful year in U11’s growing in confidence, skills and teamwork, as well as encouraging addition of more new team members, we look forward to continuing the success this year and beyond. Pascoe Vale FC has pledged to grow the girl’s and women’s teams over the coming years, and to make it one of the strongest female clubs in Melbourne.
. Providing the best possible training and coaching under the under leadership and encouragement of coach Stacy Christakakis. sessions U7-U16 will be cancelled, if the temperature reaches 36 degrees by 4pm by order of the committee.